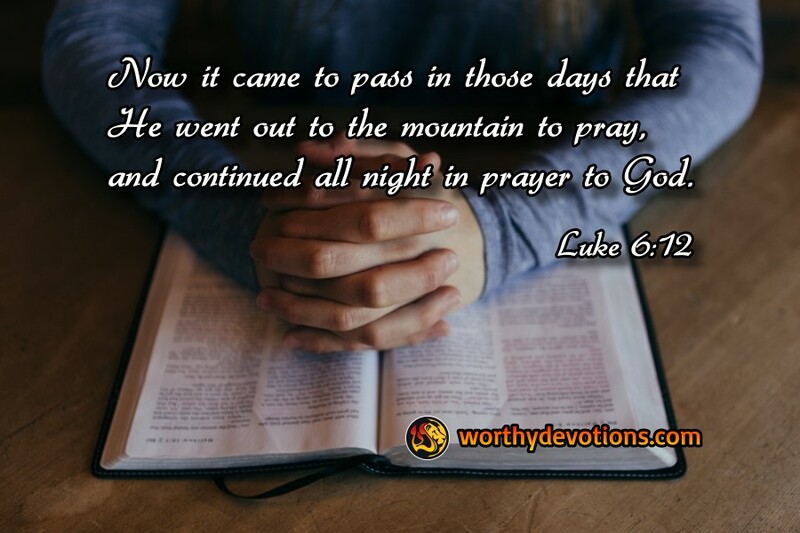 Luke 6:12 Now it came to pass in those days that He went out to the mountain to pray, and continued all night in prayer to God. Now that we're living in Israel however, it's a slightly different story. When we call America now, people are always making time to talk to us. In fact, usually they excuse themselves and go into a separate room so they can hear us loud and clear! And vice versa when they call us! But that got us thinking. If we make some time and excuse ourselves from a room to talk to someone important on the telephone, how much more should we do these things for the Lord of Glory?! William Wilberforce, Christian statesman of Great Britain in the late 18th and early 19th centuries, once said, "I must secure more time for private devotions. I have been living far too public for me. The shortening of private devotions starves the soul. It grows lean and faint." We don't starve our bodies, do we? Then why do we starve our souls? We would never dream of not eating for a month or two, but how long has it been since we've gotten to a quiet room to nourish our souls with the Lord? Seems ironic, doesn't it? Our bodies are only temporary -- they will be buried six feet under some day, along with our belongings eventually. Our soul, though, is what we should be nourishing daily, what we should be guarding as our most prized possession because it will always be around! Let's make sure our priorities are straight. Let's be sure to excuse ourselves from the hustle and bustle -- so we can hear from the Lord -- loud and clear! Awesome Reading. So true, it's all about setting priorities in our life and then putting them into motion. If it's important enough to us we will make it happen for us. Yep, time alone with the Lord. Thank you for this special blessing.... a good word for us.